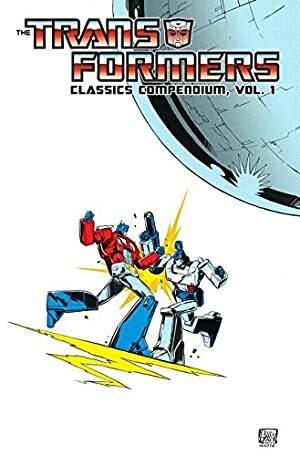 The Transformers is an American media franchise based on a series of rebranded Japanese toys (“Microman and Diaclone”). The series is produced by the American toy company, Hasbro. It centers around two warring factions of alien robot warriors marooned on the planet Earth. In its decades long existence, the franchise has had many adaptions in comic books, television shows, video games and movies. Gears had a handful of appearances in the Marvel Comics series. 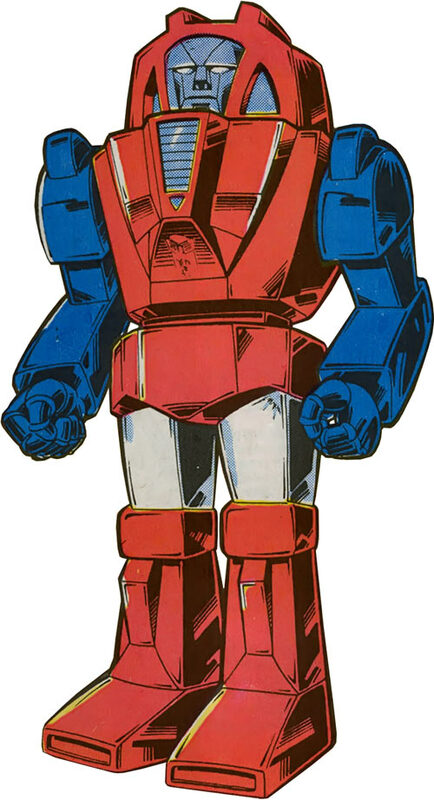 His only major appearance had him teaming up with Spider-man to face Megatron, leader of the Decepticons. Base of Operations: The Ark , Mount St. Hilary, Oregon, United States of America. Gears is tremendously strong, even for an Autobot. He can lift weights in the “Class 25” range and is impervious to most handheld conventional weaponry. Like all Transformers, he is immune to all human frailties (i.e. aging, sickness, disease, hunger, fatigue, etc) and can survive virtually any injury. If he is ever rendered inert (or “dead”) he will revive upon being repaired as long as his main processor remains intact. Like all other Transformers, Gears can reconfigure his body into a secondary form for the purpose of disguise . 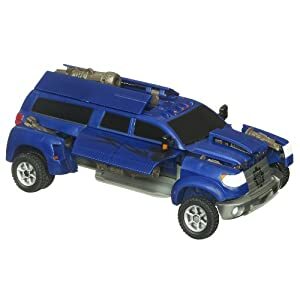 Gears’ alternate form is that of a 4WD pickup truck of unknown make and model. While transformed, he retains his intelligence, capacity for speech and mobility. Gears has a pair of powerful air compressors in the heels of his feet that he can use to launch himself up to 20 miles (32 km) in the air and to land safely again. Continuous use of his air compressors will rapidly drain Gears’ fuel reserves and eventually lead to a complete failure of that system. Gears was one of the many Autobots chosen to save Cybertron from a deadly asteroid field. When the Autobots had completed their task, the Decepticons attacked. In response, Optimus Prime sent their ship careening into a nearby planet. Gears, having been rendered inoperable during the attack, didn’t have a chance to complain. The ship (the Ark) crashed into the base of Mount St. Hilary. It lay there for over 2 million years until the volanic mountain erupted. The eruption reactivated the Ark’s computer which immediately set about repairing its occupants. The damaged computer systems mistakenly assumed that the mechanical devices that littered the Earth’s surface were sentient machines, and thus rebuilt the Cybertronians in their image. Gears was reborn in the image of a pickup truck. Mere moments after his awakening, Gears began to complain. Soon after their awakening, the Autobots found an ally in Sparkplug Witwicky. Sparkplug had devised a method to convert gasoline into something that the Cybertronians could use to fuel their bodies. Unwilling to allow the Autobots such an ally, the Decepticons attacked and abducted Sparkplug. In response, Gears (and several of his allies) set out to retrieve him. When they arrived at the Decepticon’s mountain-side fortress, it was surrounded by the U.S Military. Gears got separated from his allies while searching for a way into the fortress. He quickly grew frustrated and transformed into his robot form in order to get a better view of the situation. His transformation was witnessed by Peter Parker. Peter then donned his costume and approached Gears as Spider-Man. The two had a brief exchange of words before the Decepticon Thundercracker threw a tank at a group of reporters. Gears caught the tank, convincing all present of his altruistic nature. Spider-man then joined Gears(and his allies) on their mission to save Sparkplug. While the rest of the Autobots caused a distraction, Gears and Spider-man infiltrated the fortress from below. Once inside, the pair defeated Soundwave and his minions in rapid succession. Unfortunately, their luck ran dry when they entered the following chamber. Megatron waited for them inside, personally guarding Sparkplug. Spider-Man unleased a huge gout of webbing on the hulking Decepticon to no avail. In response, Megatron blasted a massive hole in the floor beneath the trio. Spider-Man was able to save Sparkplug with his webbing, but Gears was falling to quickly for his webbing to hold. Spider-Man was forced to watch as Gears fell to his “death”. After gathering his remains, the Autobots returned to the Ark where Spider-man bid them a sad farewell. After he departed, Ratchet (the Autobot medic) set about reparing Gears. Within a few hours, Ratchet’s efforts paid off and Gears regained consciousness. Gears is a large, humanoid robot. His chassis is mostly red, his arms are blue and portions of his legs are white. His face is silvery grey and humanoid in appearance. The Autobot brand sits prominently in the centre of his chest plate. 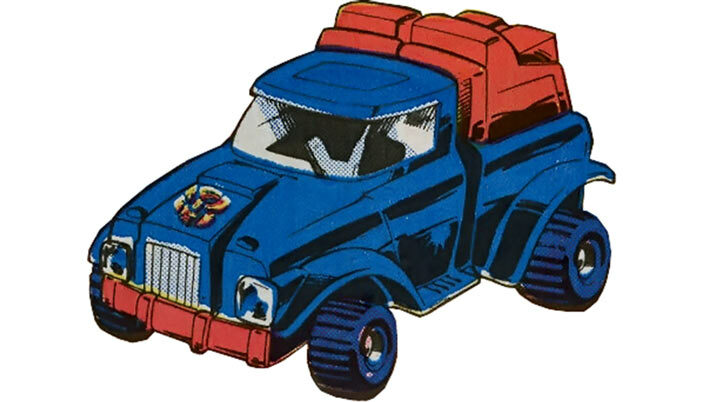 When transformed, Gears appears to be a 4WD pickup truck of unknown make and model. Gears is a constant complainer. Regardless of the situation, he will find something to whine or whinge about. He complains to a point where the other Autobots actually go out of their way to find something positive about the situation just to shut him up. Despite his negativity, Gears is unquestionably brave and heroic. He willingly lays his life on the line when necessary to protect the annoying humans or to save his friends. Gliding has a Catastrophic Burnout, if it burns out Jumping automatically burns out as well. Self-Link (Gadgetry) is Always On and makes Gears a Robot (-1FC). Self-Manipulation can only be used to assume the form: 4WD Pickup Truck (Running: 06) (-1FC). Headquarters (Expansive, The Ark), Immortal, Life Support (Breathing, Drinking, Eating, Sleeping), Miscellaneous (Cybertronian).